Medical error means legal claim? Your doctor screws up; do you have a legal claim? The issue came up in a recent CBC “Go Public” story about a Kelowna man who suffered a serious stroke. The stroke has left him unable to walk or to return to work to support his family. The “screw up” was a failure to properly read an MRI scan. Had the cause of the stroke (the dissection of a neck artery) been properly identified on the MRI, the stroke might have been prevented with medication. Does the man have a legal claim? According to the Go Public story, he consulted with a lawyer and “was told it would be too difficult to prove with certainty his stroke wouldn’t have happened regardless”. I suspect that the fellow misunderstood the lawyer he consulted with because the legal test is not one of certainty. Rather, it is one of “balance of probabilities” or “more likely than not”. Regardless, I would recommend that the fellow seek a second opinion. If there was an error in my medical care and I suffered as devastating an outcome as this fellow, I would want a second, or perhaps third, legal opinion before choosing not to pursue a claim. 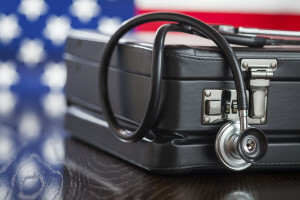 I would also ensure that I consult with a lawyer who specializes in medical malpractice claims, which is a very specialized area of personal injury practice. I do not have that expertise and refer such cases to others who do. Is a serious medical error, in itself, enough for a legal claim? No. In our civil justice system, we pursue fair financial compensation for losses. If there are no losses arising from serious medical error, there is no claim to pursue. In a “failure to diagnose” circumstance like this one, the question is whether or not the adverse medical result, the serious stroke, would likely have been averted absent the failure. Top medical specialists are consulted to provide opinions to help the court determine whether or not that “likely” threshold is met, i.e. is there a 51% or more likelihood that the stroke would have been prevented. Isn’t it enough that there was a chance, however small, that the stroke might have been prevented? If this fellow could turn back time, he might have paid his entire life savings and sold his house for even a 10% chance of preventing the devastating stroke. Unfair as it may seem, our civil justice system does not provide compensation for the loss of a chance to prevent a devastating medical outcome unless that chance is greater than 50%. Without that extra one percent, to get to 51%, the “balance of probabilities”, or “more likely than not” civil justice standard is not met, and there is no compensation.